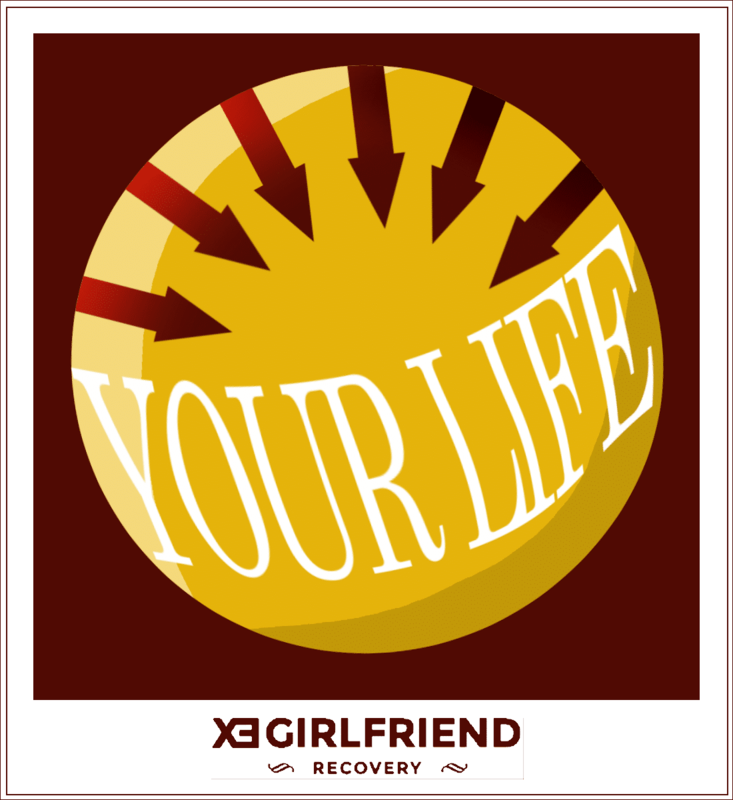 Is My Ex Girlfriend Really That Happy Without Me? OK, so you’ve unfollowed, unfriended, or blocked your exgirlfriend on every possible front. You’ve successfully removed her from all of your feeds and have made it so she’s not popping up without warning every five seconds posing with her Mocha Frappuccino and declaring it a “Great day to be alive” or something equally annoying. Don’t worry, you really don’t need to know what she had for dinner or what her “Outfit of The Day” was. But we both know that removing her from your feeds won’t keep you from checking on her at some point or wondering what she’s up to. Curiosity has a fairly strong pull, especially when you happen to have suddenly subtracted someone from your life that you had gotten used to having around. Fight the urge to check on her. However, even if you have the strongest willpower in the world, I suspect you will end up looking at her social media or asking a friend about her at some point. It’s human nature to want to know that she’s missing you. And your paths are bound to cross again at some point, especially if you life in a small town or share the same group of friends. She’s posting happy pics of her and friends! She’s doing great in school! What If She Is With Some Other Dude? She’s in better shape than you remember! From where you’re sitting… it looks like she didn’t even miss a beat. She’s happy! She’s out enjoying life! She’s even posting about how great her Monday was! Now, that’s just uncalled for! How is she so doing so well when you are feeling absolutely crummy? She has to be doing this to mess with you… right? You are ALMOST completely right if that’s what you were thinking. 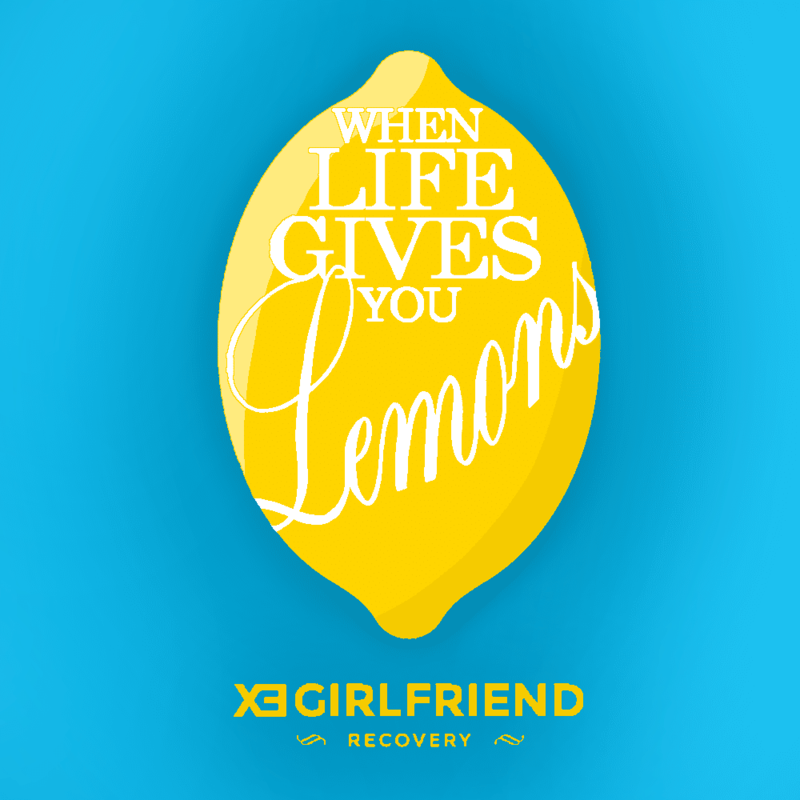 Could she just be accepting the lemons she was handed and be making the best of the situation? It’s possible. But, if you step back and get a little perspective on things, you might see the truth. No one likes to admit they’re having a tough time publicly unless they’re just looking to have a pity party. So, it’s unlikely she would post that she’s having a hard time if she is actually having a hard time. I can guarantee one thing above all others. 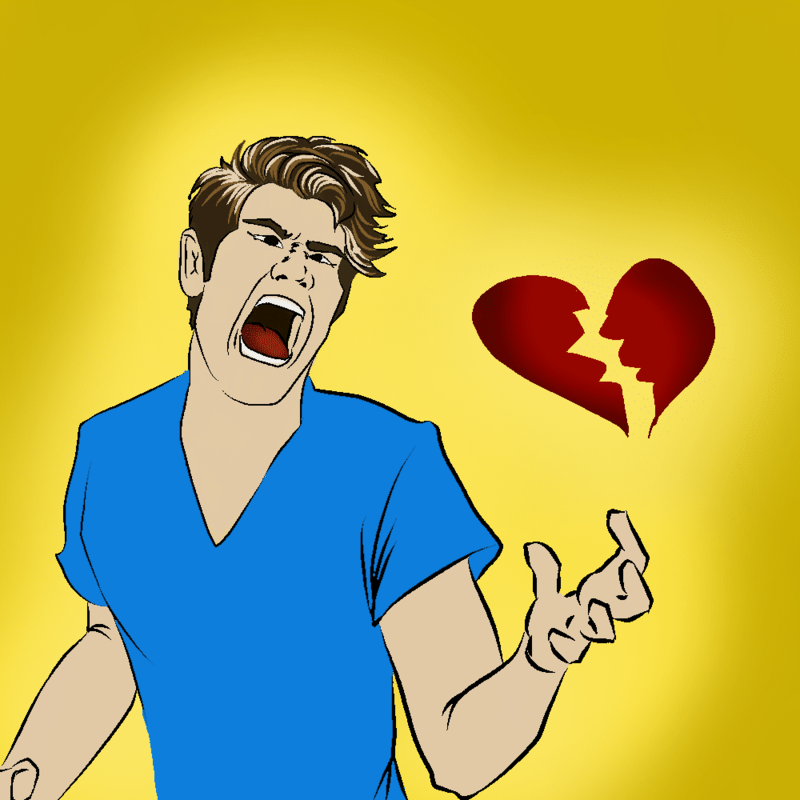 Even if a breakup is in her best interest and you were the biggest jerk on the planet, there is some part of her that misses the relationship you had, even if it’s just one tiny aspect of the relationship. Take it from someone whose breakups have almost ALWAYS been in her best interest and whose last ex was ACTUALLY the biggest jerk on the planet, me! I knew both of these things, but it doesn’t keep me from occasionally missing our time together. Sometimes, I miss teaming up against our friends on game night or being the only ones in our group of friends who knew what we were talking about when we nerded out over something completely stupid. Sometimes, I’ll see or hear something that, back then, I would’ve told him about immediately, but now it would just be weird. I mean, it’s been almost a year and I still feel this way occasionally even though we’ve both moved on and I have NO intention of ever getting back together. So, it’s likely that at some point she’ll check on you without you ever doing a single thing to instigate it. Well, in my experience, there are things that trigger these thoughts. Most of which require no action from my ex whatsoever. In fact, the more my ex reaches out to me and tries to make me focus on him the more I realize how wrong he was for me and try to focus on literally ANYTHING else. However, the more time that I would go without hearing from him, the more I wonder how things are going for him and what he was up to. If you were together long enough to meet her friends and family, even if it was just a few months, then those people are likely going to bring you up as well. It’s been almost an entire year since I split with one of my exes and, even though she knows it was for the best, my mother still asks me what’s going on in his life and if he’s doing well. So, it’s a safe bet that at some point curiosity will get the better of her and she’ll come around to your Facebook or Instagram to see what you’ve been up to. So, the way I see it, you have a few choices. You can throw a pity party and invite everyone you know to attend. You can be mad at her for being happy and act like she’s some sort of traitor for moving forward with her life. Or you can work hard to make sure that when she does eventually give into curiosity, and come around to see what you’ve been up to, she sees that you’ve done great things for yourself since you split. I’ll give you two guesses as to which one is your best bet for getting what you want. 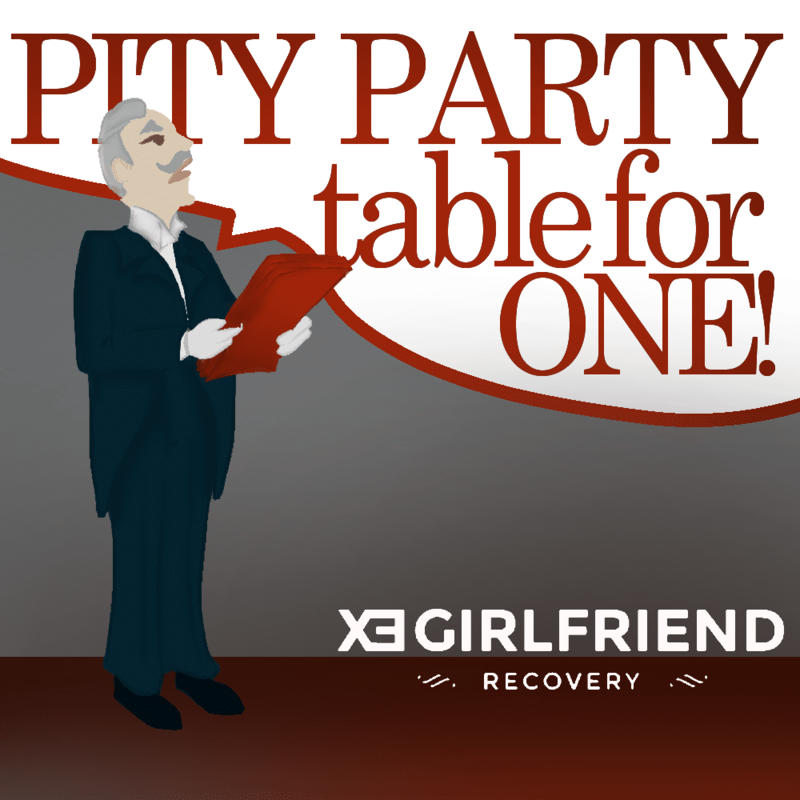 Well, firstly, throwing a pity party doesn’t work in any situation because not only are you just making life much harder than it has to be for yourself, eventually your friends won’t want to attend the party anymore and it’ll be you… alone… being pitiful. Secondly, being mad at her for not throwing herself a pity party is just silly. If you care, or ever cared, about her you should want her to be happy, even if it isn’t with you. This is petty, selfish, and, if I may say, wildly unattractive. There is no way anyone with an iota of self esteem would want someone in their life that treats them this way. So, look at these two ways of dealing with this situation. What do they have in common? Here let me help you. You have got to snap out of it. You can’t be relying on your emotions to get you through this. While, yes, seeing a guys sensitive side is attractive at times, it’s not attractive when he can’t maintain his life when it comes down to it. Do you think that’s attractive? I mean yeah, it’ll make her feel good about herself for about a second, knowing that somewhere there’s a guy that she had THAT much of an effect on. But that is just feeding her ego. Guys like that are not who you get back together with. So, how do you change direction? But we were kids, and it took us a minute to realize what she meant. Our rights ended at the point in which they infringe on someone else’s rights and vice versa. Now, I’m not a history buff, but I understood that. There are some things in life we can’t control, like the way someone else reacts to certain circumstances. That is something that is true no matter what country you live in. You can’t FORCE your ex to miss you. Sure, you can make her life miserable, whining in her general direction, but that won’t make her want you back. In fact it will most likely lead to her feeling bad for you. It might even make her downright hate you. 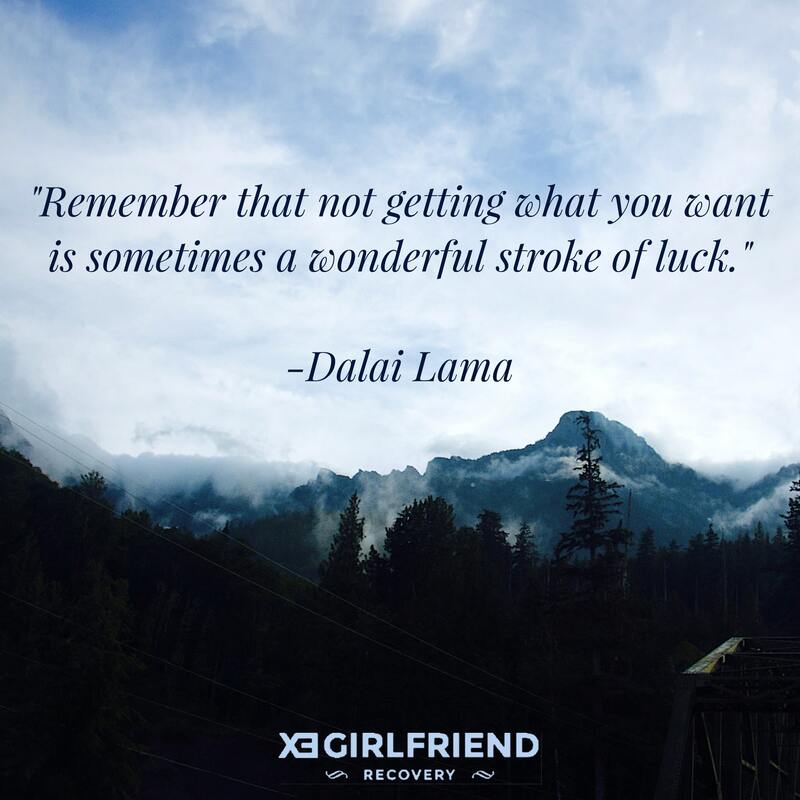 These two ways of dealing with your ex’s seemingly happy response to her newly found freedom keep you focused on the things you cannot control. That is why they will almost never work. I say almost because there’s always that one weirdo that does the impossible and makes the impossible happen. But 99.9% of the time, you will just push her further away and alienate yourself. In order to make the best of the situation, you have to change your perspective on the situation. I understand how you feel right now, like things have kind of gotten out of your control. As if there is no end in sight, at least not a favorable one. Well, that lies within the space that you find yourself where you’re loo king. I know that I can’t avoid sounding like some camp group therapy leader when I say this, but here goes anyways. You have to accept this form of reality before you can do anything. Accepting the situation you’re in will help you adjust where your focus lands. I once worked for a man who was part of a committee that was designing and building a new structure on our local campus.This means I had to sit through their committee meetings and take notes. Now, the designs for this building were all agreed upon by the committee beforehand. However, the city had an issue with a load bearing wall that didn’t meet their requirements. This meant that the committee had to reconvene and come up with a solution for the issue. The committee almost unanimously agreed that the removal of the fireplace in the wall was the only option. Mind you, I said ALMOST unanimously. There was one gentleman. I can’t remember his name, I think it was Bob. Anyways, Bob insisted that instead of adjusting to make the town council happy. He would rather haggle with them and fight them on the issue. We wound up dragging out the whole process for months and months. So if you’re still hung up on what could have been, take a break. Consider your other options, maybe a Plan B or C or Z. You get the idea. Don’t pigeon-hole yourself into thinking A is the only way to go. at means ditching plan A. Just to clarify, plan A was the way you saw the relationship going before it wasn’t going anymore. Don’t worry you can circle back to that after No Contact, but for now come up with a new plan. 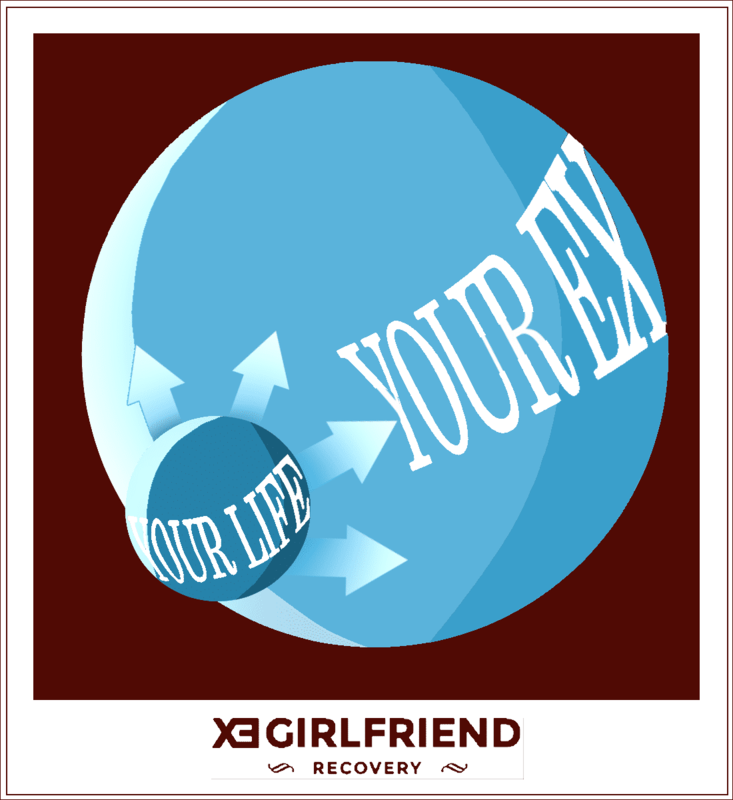 Okay, so in order to make the new plan work, you have to take your ex out of the equation. Don’t worry. After the new plan gets underway, your ex will wonder why you ever split up in the first place and will be begging to be added back in. So, in order to take on a new plan, you need to figure out what you want to achieve with you new found freedom. Well, first of all, ruminating on unpleasant things is a complete waste of time. Instead, what I propose is to look at your life as if you are someone looking at it from the outside. What you want to do is picture how you would want it to look if someone, say maybe… your ex or somebody else… who knows, were to take a look at it. What you should do to make this work for you? Okay, so think about how a magazine company works. If you are unaware, I’ll give you an idea. They throw a lot of ideas out at their writers and send them out into the world to gather information. So, they go out information gathering and gather it into something semi-presentable. Then, after that, every single one of them come back and throw what they’ve come up with onto a wall, where the editor can come in and pick and choose what she wants to include in that month’s issue. After that, they all work together to make it into something worth publishing. So, why in the heck am I rambling about magazine production? Well, consider what you would would want that imaginary person from the outside to happen upon when she happens to let curiosity get the best of her and finds herself perusing your Facebook. Visualize the ideal version of your life. For me, that would mean taking that last class I need for my degree, and get the certifications I’ve been gunning for for a few years. So, what would make your life ideal? I can give you a few ideas so you’ll hit the ground running. First of all, remove all of the elements of your life that cultivate negativity. That means a job you hate and all of your terrible vices… even if it’s just biting your nails. Clean your living space. Remove anything that is junking up your space. Old receipts. Old magazines. Things you’ve been putting off, like returning or recycling your old phones. Put that stuff on Ebay that you have nothing to do with. Basically, everything that could possibly be on your plate, get it done, do away with it, or put it on a list to work towards getting it done. You’re clearing your proverbial plate of anything that would be hanging over your head waiting for you to do it. If you are having some difficulty dealing with emotional baggage from the relationship then I seriously suggest you talk to a professional to help you deal and clean your emotional plate to match your other plates. Start eating healthier. If you still eat junk food, that’s fine. Just start drinking more water and eat the occasion vegetable. Exercising is a good idea as well, or at least doing something active. Be nice to your body. It’s kinda a big part of making things better, being aware of things like your help. Learn from your past mistakes. I mean, think about it. As people, we tend to repeat our mistakes. Put a stop to it and cut mistakes short. Stop making the same mistakes over and over again. Throw out stuff you don’t use like clothes that don’t fit anymore. Or in my case several pairs of shoes that I don’t wear… ever. You get the idea. You’re cleaning you life of clutter, and negativity. And you’re taking the bull by the horns and moving forward creating your ideal life. Get back in touch with people that you’ve lost touch with. But only if they’re positive influences. Find something that you take pride in and enjoy. I suppose this falls in with finding a hobby, but either way you should find something you care about. And don’t pretend to be someone you aren’t. Don’t do this simply to shove your exes nose in it. That’s why you are supposed to cut her out of the process. Do it because it’s what’s best for you and I guarantee that your ex will take notice when she finally gets around to getting curious. Don’t put your life on hold waiting for her to get familiar with her curiosity. While you’re at it, just take pride in the fact that your life is better regardless of how long it takes her to give into that curiosity.